Yes we should celebrate it every year And every month and every week and every hour and every moment. We find nowadays publications filled with lies and deception which mislead many Muslims into thinking negatively about the honorable Mawlid of the Prophet. These publications claim that to celebrate the Mawlid is an act of innovation that goes against Islam. This is far from the truth, and it is therefore necessary for those who can speak clearly to help clarify and reverse the doubts surrounding this most blessed day. It is with this humble intention that I present the following proofs in support of celebrating our beloved Prophet’s birthday. It follows, then, that the meaning of every (kul) cannot be taken in its general sense. Therefore, although the Prophet may not have said to celebrate his blessed birthday, it is nonetheless not innovation to do so. For, as the following examples show, there were many actions and practices instituted by his close followers after his time that are not deemed innovation. (From a Prophetic saying related by Zaid Ibn Thabit. (r)) “The Prophet died and the Qu’ran had not been compiled anywhere. `Umar (r) suggested to Abu Bakr (r) to compile the Qu’ran in one book. When a large number of Companions were killed in the battle of Yamama, Abu Bakr wondered, “How could we do something that the Prophet did not do?’ `Umar said, “By Allah, it is good.’ `Umar persisted in asking Abu Bakr until Allah expanded his chest for it (Allah made him agree and accept these suggestions) and he sent for Zaid Ibn Thabit and assigned him to compile the Qu’ran.” Zaid said, “By Allah if they had asked me to move a mountain, it would not have been more difficult than to compile the Qur’an.” He also said, “How could you do something that the Prophet did not do?” Abu Bakr said, “It is good, and `Umar kept coming back to me until Allah expanded my chest for the matter.” The saying is narrated in Sahih Al Bukhari. The Maqam of Ibrahim (as) in relation to the Ka’ba. (Al Bayhaqi narrated with a strong chain of narrators from Aisha.) “The Maqam during the time of the Prophet and Abu Bakr was attached to the House, then `Umar moved it back.” Al Hafiz Ibn Hajar said in Al Fath, “The Companions did not oppose `Umar, neither did those who came after them, thus it became unanimous agreement.” He was the first to build the enclosure (maqsura) on it, which still exists today. Adding the first call to prayer on Friday. Salutations on the Prophet composed and taught by our Master `Ali (r). The salutations have been mentioned by Sa’id bin Mansoor and Ibn Jareer in Tahzeeb al Aathar, and by Ibn Abi Assim and Ya’qoob bin Shaiba in Akhbar `Ali and by Al Tabarani and others from Salamah Al Kindi. The addition to the tashahhud by Ibn Mas’ud. After “wa rahmatullahi wa barakatu,” and the Mercy of Allah and Blessings, he used to say, “assalamu `alayna min Rabbina,” peace upon us from our Lord. Narrated by Al Tabarani in Al Kabir, and the narrators are those of the sound transmitters, as it has been mentioned in Majma‘ Al Zawa’id. The addition to the tashahhud by Abdullah Ibn `Umar. He added the basmalah at the beginning of the tashahhud. He also added to the talbia, “labbaika wa sa’daika wal khayru bi yadayka wal raghba’u ilayika wal `amalu” This is mentioned in Bukhari, Muslim, et al. These are some of the developments instituted by the Prophet’s Companions, the scholars, and the honorable members of his nation, which did not exist during the time of the Prophet, and which they deemed good. Are they, then, misguided and guilty of bad innovation? As for the claim that there is no such thing in religion as good innovation, here are some sayings of the brilliant scholars of Islam belying this claim. Clearly we see from the opinions of these righteous scholars, that to define innovations in worship as wholly negative without exception is ignorant. For these pious knowers, among them Imam Nawawi and Ash-Shafi’i, declared that innovations could be divided into good and bad, based on their compliance or deviance with religious law. Moreover, the following Prophetic saying is known even to common Muslims, let alone scholars: “He who inaugurates a good practice (sunnatun hasana) in Islam earns the reward of it, and of all who perform it after him, without diminishing their own rewards in the least.” Therefore it is permissible for a Muslim to originate a good practice, even if the Prophet didn’t do it, for the sake of doing good and cultivating the reward. The meaning of inaugurate a good practice (sannasunnatun hasana) is to establish a practice through personal reasoning (ijtihad) and derivation (istinbat) from the rules of religious law or its general texts. The actions of the Prophet’s Companions and the generation following them which we have stated above is the strongest evidence. Following are some sayings of the rightly guided Imams regarding the Mawlid. 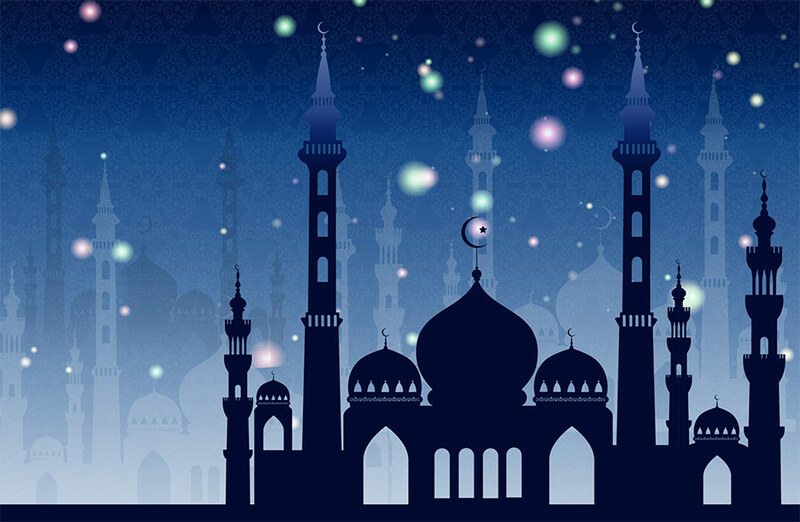 “There is a question being asked about commemorating the Mawlid of the Prophet in the month of Rabi’ Al Awal: what is the religious legal ruling in this regard, is it good or bad? Does the one who celebrates get rewarded or not?” The answer according to me is as follows: To commemorate the Mawlid, which is basically gathering people together, reciting parts of the Qu’ran, narrating stories about the Prophet’s birth and the signs that accompanied it, then serving food, and afterwards, departing, is one of the good innovations; and the one who practices it gets rewarded, because it involves venerating the status of the Prophet and expressing joy for his honorable birth. These are the derivations that those opposed to Mawlid call false conclusions and invalid analogies. Imam Mohammed bin Abu Bakr Abdullah Al Qaisi Al Dimashqi. Al Mawlid al heni fi al Mawlid al sani. Al Mawlid Al rawi fil Mawlid al Nabawi. Al Tanweer fi Mawlid Al basheer Al Nadheer. Imam Shamsu Din bin Nasir Al Dimashqi. Mawlid al Sadi fi Mawlid Al Hadi. He is the one who said about the Prophet’s estranged uncle, Abu Lahab, “This unbeliever who has been dispraised, “perish his hands” [111: 1], will stay in Hell forever. Yet, every Monday his torment is being reduced because of his joy at the birth of the Prophet.” How much mercy can a servant expect who spends all his life joyous about the Prophet and dies believing in the Oneness of Allah? Imam Shamsu Din Ibn Al Jazri. Al Nashr fil Qira’at Al `Ashr, `Urf Al Ta’reef bil Mawlid al shareef. There are others who wrote and spoke about Mawlid, such as Imam Al Sakhawi, Imam Wajihu Din bin `Ali bin al Dayba‘ al Shaybani al Zubaidi, and many more, which we will not mention due to the limited space available. From these many evidences, it should be clear by now that celebrating the Mawlid is highly commendable and allowed. Surely we cannot simply shrug off as heretics the scholars and dignitaries of this nation who approved the commemoration of the Mawlid and wrote countless books on the subject. Are all these scholars, to whom the whole world is indebted for the beneficial books they have written on Prophetic sayings, jurisprudence, commentaries, and other sorts of knowledge, among the indecent who commit sins and evil? Are they, as those opposed to Mawlid claim, imitating the Christians in celebrating the birth of Jesus? Are they claiming that the Prophet did not convey to the nation what they should do? We leave answers to these questions up to you. And yet we must continue to examine the errors which those opposed to Mawlid utter. They say “If celebrating the Mawlid is from the religion, then the Prophet would have made it clear to the nation, or would have done it in his lifetime, or it would have been done by the Companions.” No one can say that the Prophet did not do it out of his humbleness, for this is speaking evil of him, so they cannot use this argument. Furthermore, that the Prophet and his Companions did not do a certain thing does not mean they made that thing prohibited. The proof is in the Prophet’s saying, “Whoever establishes, in Islam, a good practice…” cited earlier. This is the strongest evidence that gives encouragement to innovate whatever practices have foundations in religious law, even if the Prophet and his Companions did not do them. Al Shafi’i said, “Anything that has a foundation in religious law is not an innovation even if the Companions did not do it, because their refraining from doing it might have been for a certain excuse they had at the time, or they left it for something better, or perhaps not all of them knew about it.” Therefore, whoever prohibits anything based on the concept that the Prophet did not do it, his claim has no proof and must be rejected. · Congregating people behind one Imam to pray Salat al Tahajjud after Salat Al Tarawih, in the two Holy Mosques and other mosques. · Reciting the Prayer of Completion of the Qu’ran in Salat al Tarawih and also in Salat al Tahajjud. · Designating the 27th night of Ramadan to complete reading the entire Qu’ran in the two Holy Mosques. · Founding organizations which did not exist in the time of the Prophet, such as Islamic universities, societies for committing the Qu’ran to memory, and offices for missionary work, and committees for enjoining good and forbidding evil. We are not objecting to these things, since they are forms of good innovation. We merely list these innovations to point out that those who oppose Mawlid clearly contradict their own rule stating that anything that neither the Prophet nor his Companions did is innovation. And since they claim that all innovation is bad, they themselves are guilty. Those opposed to Mawlid, may Allah guide them, have confused some expressions, and claim that some religious scholars associate partners with Allah. Take for example the plea of Imam Al Busiery to Prophet Muhammad, “Oh, most generous of creation, I have no one to resort to, save You, when the prevailing event takes place.” They must examine carefully the saying of Imam Al Busiery: inda hulul il amim, when the prevailing event takes place. What is al Amim? It means that which prevails over the whole universe, and all of creation, in referring to the Day of Judgment. Imam Al Busiery is asking intercession from the Prophet on the Day of Judgment because on that Day we will have no one to resort to, or appeal to. Imam Al Busiery seeks his intercession to Allah through the Prophet, for when all other Messengers and Prophets will be saying, “Myself, myself,” the Prophet will be saying, “I am the one for it, I am for it [the Intercession]” It becomes even more clear now that the doubts of those opposed to Mawlid are unfounded, just as their charges of associating partners with Allah are unfounded. This is due to their blindness, both physical and spiritual. Another similar example can be found in the well-known saying transmitted by the distinguished Imam Al Kamal bin Al Hammam Al Hanafi, author of Fath il Qadeer fi manasik al Farisi, and Sharh al Mukhtar min al sada al ahnaf. When Imam Abu Hanifa visited Medina, he stood in front of the honorable grave of the Prophet and said, “O, most honorable of the Two Weighty Ones (humankind and jinn)! O, treasure of mankind, shower your generosity upon me and please me with your pleasure. I am aspiring for your generosity, and there is no one for Abu Hanifa in the world but you.” Again, we must not misinterpret this entreaty, but realize its true meaning. Completed, with all Praises to Allah and salutations and peace be upon our master Muhammad and the family of Muhammad and his Companions. 33|26|And He brought down from their strongholds those of the People of the Book who backed them, and He threw terror into their hearts. Some of them you killed, and others you took captive.